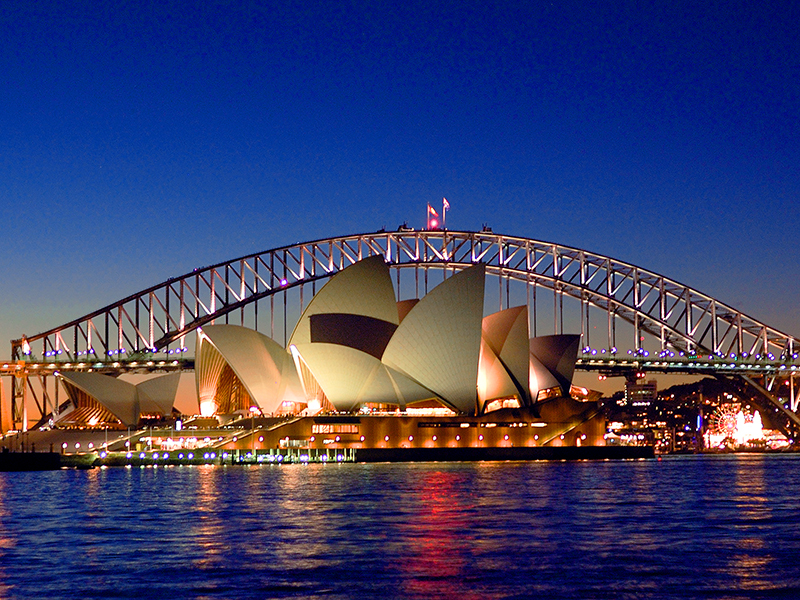 Among all global metropolises, Sydney is a standout with its awe-inspiring architecture. It also has diversified sights; a thriving cultural, music, and arts scene; and a dynamic nightlife. Unfortunately, however, Australia’s capital is not exactly a byword for budget-friendly travel. Many first-time visitors are taken aback by the cost of accommodations, transportation, and sightseeing tours. Does this mean you should drop a visit to Sydney from the travel agenda and opt for a more wallet-friendly destination? Absolutely not – you just need to know where and how to save by picking lodging and entertainment options that fit your budget. 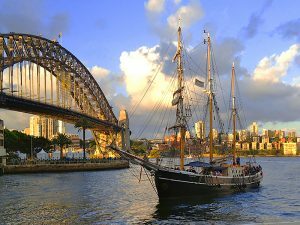 But exactly how do you explore all the beauty Sydney has to offer on a shoestring? Easily: take a quick peek at these wallet-friendly tourist guidelines. They’ll help ensure a first-rate holiday experience even if your travel budget is not exactly as generous as you’d like it to be. 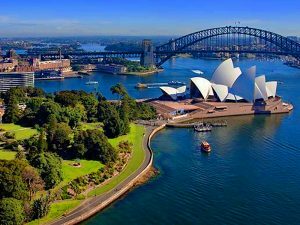 If you’re looking to take in Sydney’s splendor as a budget traveler, steer clear of cabs: the fares can set you back a small fortune. You can also easily explore the city on foot. But if that’s not your piece of cake consider boarding a ferry. It’s a cost-efficient way to see some of Sydney’s biggest attractions such as Balmain, Double Bay, Parramatta, Cockatoo Island, Manly, and Taronga Zoo. A single trip fare for the Sydney ferry ranges from AU$6.20 – $7.60. The ferry is used by locals commuting from Parramatta and the Sydney Harbor area to the Central Business District. Once aboard you’ll be able to chat up a resident and ask them for inside tips on places to see during your stay in the city. Also, you can choose between bus, train, and light rail rides. The Opal single trip fare ranges from AU$2.40-8.80 based on the type of transport and distance traveled. Finding a decent place to crash during your stay in Sydney is probably the biggest challenge for a tourist plagued by a modest holiday piggy bank. Fortunately for shoestring travelers, there are a few cool ways to cut accommodation costs without compromising comfort. On top of the highly popular CouchSurfing and house-sitting deals, you can look up share accommodation options online and find lodgings for AU$120-180 per week. Still, bear in mind that share accommodation costs vary based on location. So if you’re looking for a room in downtown Sydney, brace your travel budget for AU$200-350 in costs for a weekly stay. With your bunk in place, it’s time to turn your attention to delectable treats and drinks and find a way to save money while savoring all the exploding aromas Australia’s capital has to offer. As a general rule, you should cook your own food if that’s possible, but you can also have a cheap cake and eat it out in a local restaurant. If you’re a first-time Sydney visitor, you should check out the Corner House up on Bondi Road. Here, you can get a pizza for as few as AU$20. Then follow up on it with a mouth-watering tiramisu, vanilla brulee, or chocolate tart for an extra AU$16. 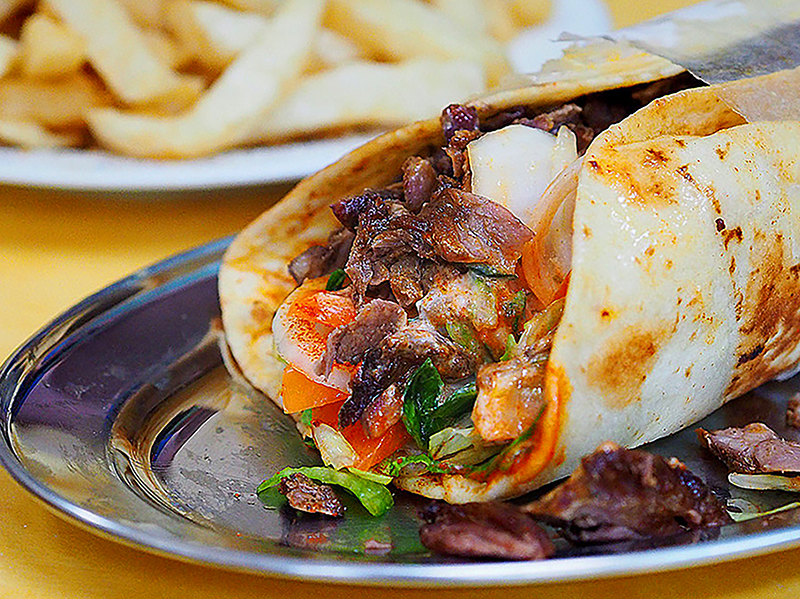 Or, if you’re a fan of exotic cuisines, try vegan Chinese delicacies at Duy Linh Restaurant. Or munch on yummy Lebanese foods at El Jannah’s. For a few dollars, you can get a tummy-full of spicy nom. 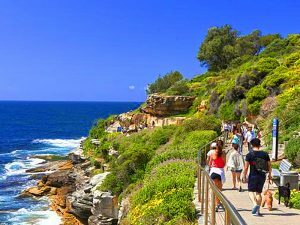 As for cheap and free tourists sites you can check in on your Sydney adventure, the list is truly impressive, and it keeps growing with every passing year. Here are a few cool spots you should not miss during your tour of the Australian capital. For a picnic against a scenic Sydney backdrop, try the Royal Botanic Gardens. With the view expanding out to the Opera House and Harbor Bridge, the Gardens are a great place to join a free guided walking tour and learn more about domestic plant species. 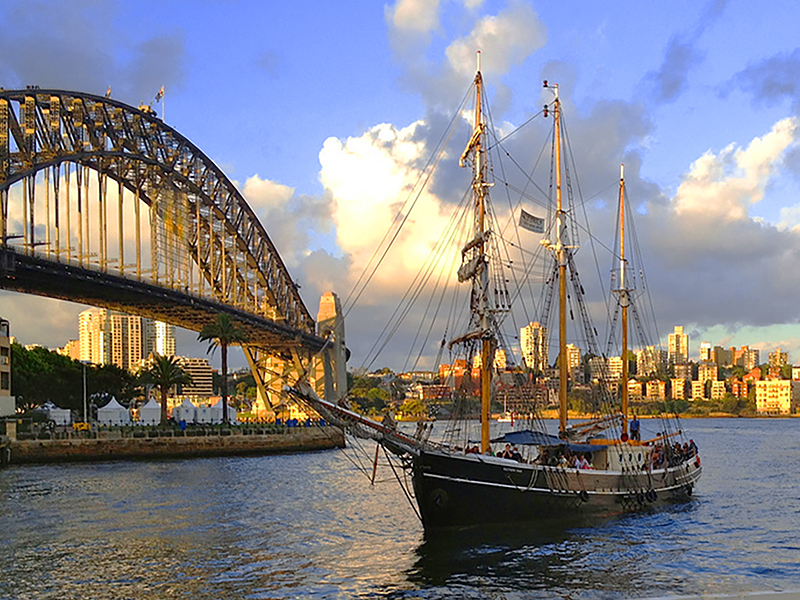 For a fascinating tour of Sydney’s historic district, head over to The Rocks. It’s a place where snug cafés, cobbled alleys, and weekend arts and crafts markets collide. The area is also an ideal spot to learn more about the city’s history and development on a free guided tour. The coastal walk from Bondi to Coogee is an excellent way to pass a few hours. It’s a great wlak to savor Sydney’s beaches and coves on a sunny day. If you’re up for a challenge, rent a board for AU$15 at Bondi Surf Co and try conquering the waves like a pro surfer. The Mecca of Australian tourism, Sydney doesn’t have to rob a wanderlust-plagued tourist of a small travel fortune. But you need to do the proper pre-trip research. Before you pack your bags and head out, make sure to look up budget-friendly accommodation deals. Then check cheap local transport options, and best spots to dine, wine, and make merry. 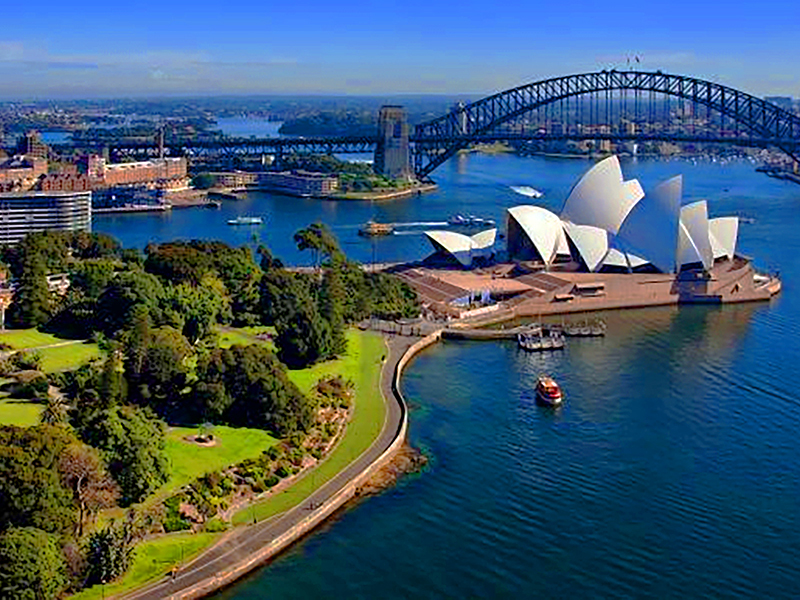 Sydney is ready to take you under its wing – but are you ready for the adventure of your life? The image of the Sydney Harbor Bridge and Opera House that headlines this article doesn’t look right. If you’re looking at the Opera House from that direction, it will be BEHIND the bridge, not in front of it. Interesting photo — but really looks to be a LOT of Photoshopping here. I’m surprised you’d use an image like this, since your articles generally seem to be accompanied by real pictures. Thanks for bringing this to my attention, since I do my best to keep everything s accurate as possible. As you can see from the caption, we sourced this from Flickr. Since I have no way of judging this – it’s been years since I visited Sydney – does anyone else want to weigh in on this? Loved the Bondi to Coogee walk when I was there. I agree, in terms of Sydney being an expensive city to be a tourist. Especially if you were using £’s like myself!! I’m living in Melbourne at the moment. Although Melbourne is my favourite city out of the two. In terms of tourist attractions, I would say Sydney is in front. Can’t wait to get back there for Christmas!